Morsi Removed, Muslim Brotherhood Down…but is it out? Radical Canadian Imam: "Rome Will Be Conquered"
Cutting Egypt Aid Could Haunt U.S.
Muslim Brotherhood Tells Obama "Accept Arab Will"
The Muslim Brotherhood is a global Sunni revivalist movement founded in Egypt in 1928. It seeks to establish an Islamic Caliphate governed by Shari'ah, or Islamic law. This is a long-term objective to be realized through a methodical plan that includes preaching, charitable work and a commitment to jihad. Most major U.S. Muslim organizations have roots in, or links to, the Muslim Brotherhood, including the Muslim Students Association, the Muslim American Society, the Islamic Society of North America and the Council on American-Islamic Relations. 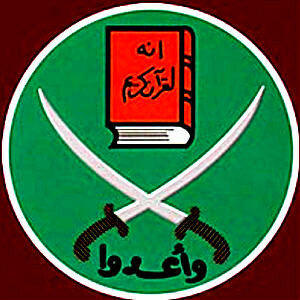 To read about the Muslim Brotherhood's history and ideological development, click here.